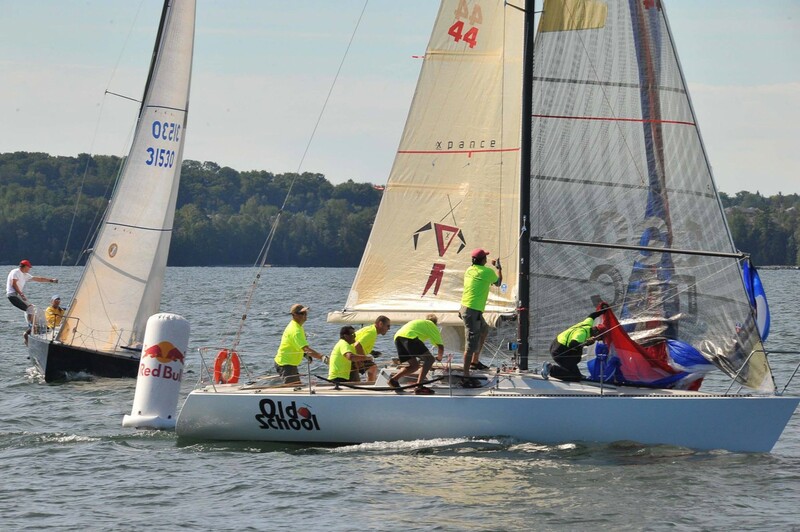 The question was asked: What’s the best setup for an Olson 30 spinnaker launch and retrieval. There is no definitive answer, but here are some opinions. On Polar Bear, we launch the first time from the rail mid foredeck and then douse and launch through the fordeck hatch, no one goes below and the halyards and sheets stay attached all the time. We choose which side to take the sail down on depending on which side we plan to hoist on. Without a doubt , the best launch is from a turtle off the bow………..we launch from as close to the bow as possible , on the first launch……….we like to sail light , and too often we can’t afford to have someone go below to repack , so our 2nd launch is usually out of a bag under the cabin hatch , although that’s slower because you have to feed the chute out over the cabintop where winches and rope clutches can snag the thing ……….and then there’s the jib to interfere , as well as the halyard getting stuck between the spreaders and the mainsail………not a good method , but sometimes necessary………perhaps that’s why so many modern boats go with the bowsprit and asym………. Spinnaker pole can be stowed on the foredeck, but many boats who race mostly windward/leeward courses use a boom mounted launch bag. The bag has a few advantages: The pole can be stowed in the bag pre-rigged so the guys do not need to be removed while pole is stowed, making launching faster. Having the pole in the boom bag makes putting into position on the mast very quick, a straight shot forward and a little bit up to the pole track. Most boats who use the bag also have the foreguy/downhaul located aft of the stock position, near the base of the mast. Old School using a boom mounted spinnaker pole bag, note bag is attached to starboard side of boom, using a bolt rope in the foot slot of the boom. 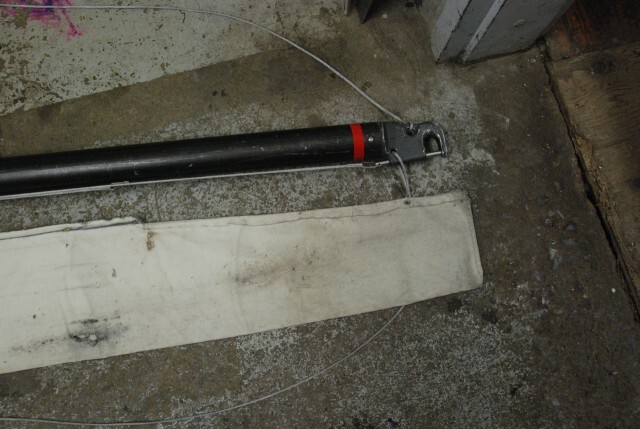 The bag is about 1 foot shorter than the pole, with a slight taper, closed at inner end. Bag material should be fairly heavy, bolt rope is sewn to top edge of bag and slides into slot on top of boom. 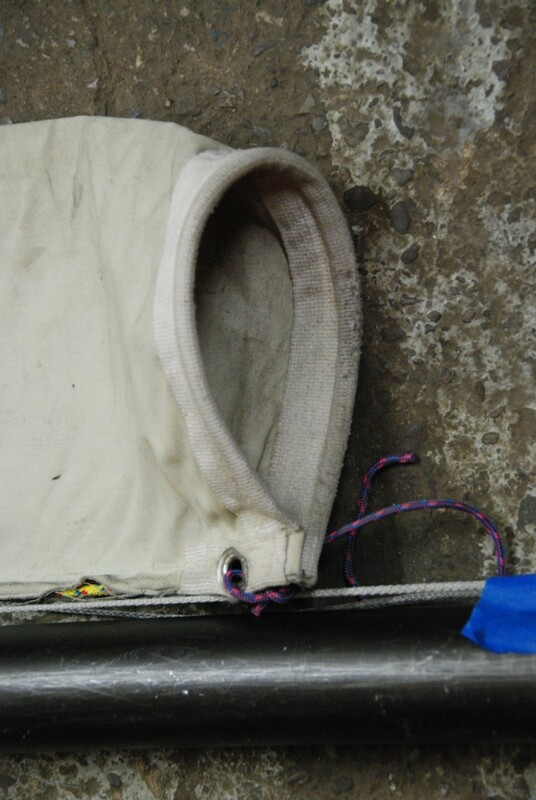 Open end of bag has a stiffener sewn in, something like a piece of 1×19 wire, and a metal grommet to fasten it to the boom. 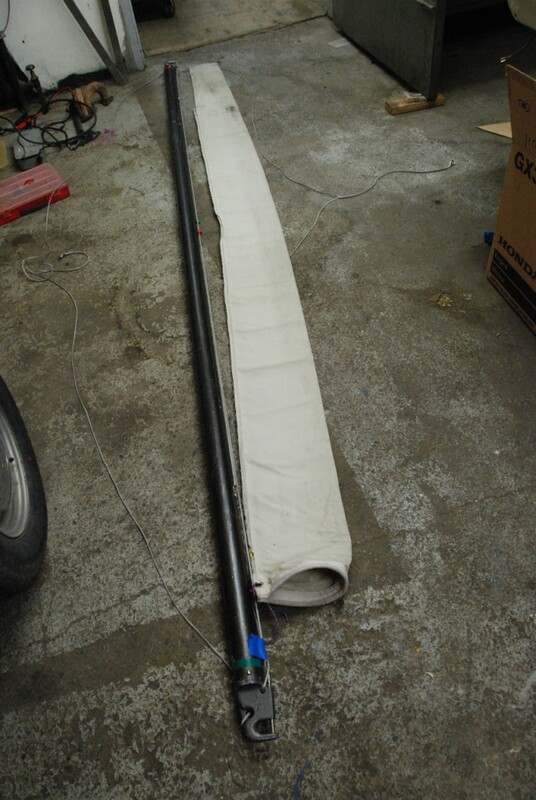 Bolt rope stops short of outer end by about 16 inches to allow free adjustment of mainsail foot. 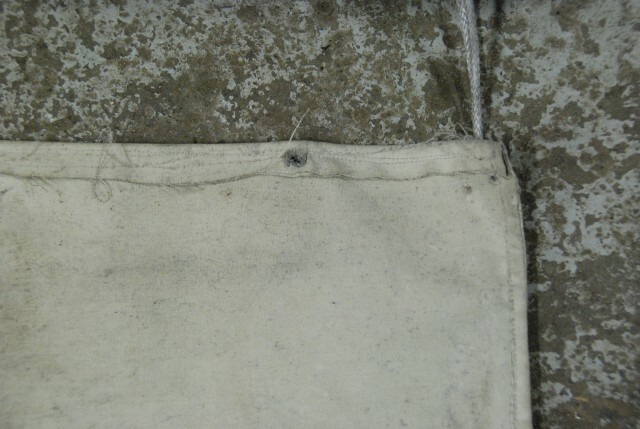 Outer end of bag is closed and has small hole for a removable fastener, i.e. screw, wing nut.